Traditional art inspired by the bull, eagle, cobra, panther and monkey. As with Kung Fu in China, legend has it that it was introduced to Myanmar by travelling Indian Buddhist Monks. It involves strikes, standing grapplng, throws, takedowns and weapons training. The emphasis throughout is on defence rather than offence, with practitioners reacting to the attacks of their enemy. Meaning ‘Dancing Monkey’ or ‘Air Monkey’, this is a hard martial art to pin down. 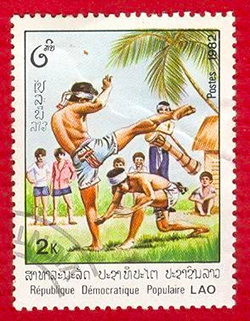 Thought to have developed alongside Muay Boran the streamlined and more ancient version of Muay Thai, it practises ground fighting techniques and takedowns. Disputed by some to exist in modern times this is a difficult art to define. What is not in contention is that it is named in honour of the hindu deity Hanuman, the monkey faced God. 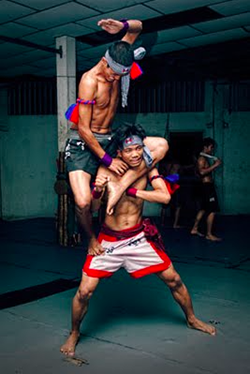 Literally meaning Fight Lions, this martial art was developed by the Khmer people and was the fighting art of ancient Angkor’s army. It was all but wiped out during the rule of the Khmer Rouge, when many practitioners were executed. Ancient and complex, it uses locks, strikes, holds and submissions and is once again gaining in popularity in modern Cambodia. Developed in 1938 by Nguyen Loc, Vovinam was a martial art designed to teach young Vietnamese people discipline and to gain strength through a clear mind and a pure soul. 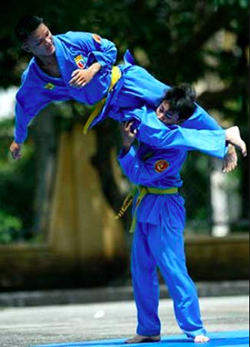 Relatively modern, Vovinam is incredibly popular in Vietnam. It teaches strikes, locks, ground work and weapons. Meditation and self reflection are as important to this art as physical training. 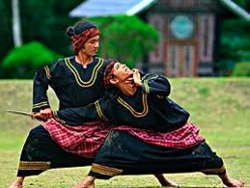 This martial art is known as Pencak in Java and Silat in Sumatra, the names were combined in 1973 after Indonesia was unified. Another very old art with evidence of its practise as far back as the early 6th century. It is well rounded with extensive use of weapons. The style has been practised continually to the modern day and styles vary immensely, depending on the terrain and environment of the area in which they are practised. 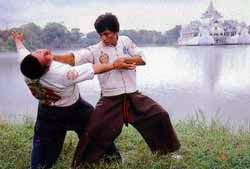 Strikes are made from a very low stance, typically empty hand techniques need to be mastered before moving onto weapons.